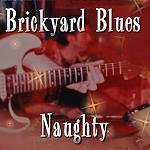 Brickyard Blues' new CD, Naughty, features these nine original songs. Buy the CD. Buy from the CD Baby web site. Click here. Buy the CD here using PayPal. $15 price includes shipping. Click the Buy Now button to purchase. Buy the CD by check or money order. $15 price includes shipping. Send email to beefyblues@hotmail.com for further information. Alabama Blues Man was picked as the New Blues Favorite Song by Smokestack Lightnin' Blues Radio on WUCF 89.9 FM in Orlando, FL July 2, 2005. Smokestack Lightnin' Blues Radio web-casts at www.smokestacklightnin.com. The internet version of Smokestack Lightnin' is comprised of selected sets from broadcasts on WUCF 89.9 FM in Orlando, FL. The Mojo Dreams radio show covers all kinds of American rootsmusic (blues, country, soul, zydeco, jump & swing, rockabilly, alt.country, Americana, rootsrock...) and is broadcasted on Radio Sinaai (105.5 FM) on Thursday and Saturday (18-20hr). Spinning all the best in rockabilly/honky tonk/western swing/psychobilly/punkabilly and the like!